I was delighted when Lisa Mancuso (AALNC Online Education and Professional Development Committee Chair) asked if I would be interested in presenting a webinar to cover a business-related topic for the webinar series. I think it was Shannon Holy who clued me into this little gem of information, though. She told me, “according to the 2018 AALNC Needs Assessment, 30% of the topics suggested by respondents pertained to LNC business skills. There is a growing demand for information and strategies to assist the LNC in starting and maintaining an independent practice.” Lisa and I discussed a few options for me to cover in a webinar, but she jumped right on the topic of productivity. She was very keen to address that because she was certain it would provide the most immediate and actionable solutions for many AALNC members. After all, who doesn’t want to get more done in less time? I wanted this webinar to speak not only to the new LNC, but also to those who have a little time under their belt, and some systems in place, but they're interested in discovering new tips and tools to supplement the ones they're already using. So I set about creating a webinar program that would cover the tips and tools that I (as a self-confessed geek or tech nerd, because that IS what I do) and other LNCs I work with, have found helpful, to save time, money and sanity! We all have our own definition of what being productive means, but I believe productivity is a choice we make each and every day. Sadly, though, we often come to it after spending too much time rushing around trying to squish 48-hours into every 24-hours. The Business Dictionary's definition of productivity is: “A measure of the efficiency of a person, machine, factory or system etc., in converting inputs into useful outputs…” As a business owner myself, I know from my own experience and that of my LNC clients, one of the biggest challenges we all face is the many different “hats” we are required to wear every day. And that for LNCs, the business aspects of running their practices can be overwhelming at any stage. At the beginning of your LNC journey, that can simply be to setup systems to ensure nothing falls through the cracks while you’re juggling marketing to find new clients. As you start to build a client base you have to add in on-boarding new cases, following-up on old cases and perhaps managing sub-contractors, and all that is long before you need to be following the money (as in making sure you get paid). What Factors Affect Your Productivity? I don’t believe anyone (especially anyone who owns their own business) intentionally says, “I don’t care if it takes me longer, or I don’t care if my results are inconsistent.” However, there are multiple elements to consider when looking for ways to increase your productivity. I decided the best way to approach the subject for LNCs would be to divide productivity into business segments so that viewers would be able to use the webinar as a reference to “jump” directly to the section where they felt they need the most help. So I broke down the webinar into the following segments with tips and tools to help you plan, prepare and produce top quality work product efficiently, effectively and with a LOT LESS EFFORT! I do hope this blog post has given you an overview of what to expect from the webinar, at least enough to encourage you to watch and that you learn a few new tools to help you be your most productive in your LNC practice. Feel free to connect with me on LinkedIn and let me know if you have questions about a specific tool or app. Login to your AALNC account to view On-Demand at your convenience. Description: You don’t want to miss this webinar: Productivity Hacks & Helpers - Tips, Tools and Applications to Save You Time and Money. Answers to your questions about the best tools and tech to use as you develop your LNC business will be found in this dynamic presentation. We will dive deep into the best tools, applications and resources LNC entrepreneurs need to run a successful practice. Join this 90-minute webinar to discover how you can save your sanity as you grow your practice! 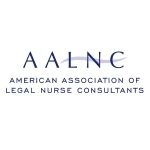 Continuing Education: This continuing nursing education activity was approved by the American Association of Legal Nurse Consultants, an accredited provider by the American Nurses Credentialing Center’s Commission on Accreditation. Conflict of Interest: The planners and faculty for this activity report no conflict of interest with the development and presentation of this course. Learning Outcome: Upon successful completion of the webinar, LNCs will be aware of essential tips, tools and applications to save time and money running a successful LNC business. Debra Lloyd has been doing business online since 1996. Through the process of buying, building and developing sites and web-based businesses, she has learned not only what works but also how to implement the technology to make it work. Her business and productivity systems knowledge has been gained from hands-on experience building on a shoestring budget. Debra has also worked extensively evaluating and developing specific systems to create efficiencies of process and productivity for small to mid-sized teams and businesses with the specific objective of using technology to increase profits. Her clients often say her greatest asset is that she can drill down to identify and explain what needs to be done and why in terms that are easy for even the most tech-phobic to understand and follow. Debra is developing a strong following among LNCs applying her extensive marketing knowledge and experience to help them with training, tools and strategies to market their business, establish greater credibility, increase client acquisition, improve client relationships and retention rates.